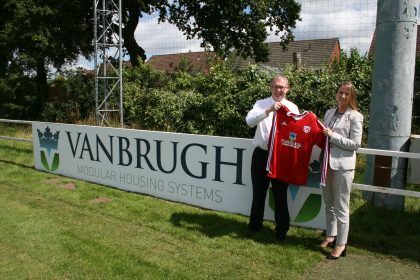 AFC Wulfrunians are delighted to welcome Vanbrugh Construction as the club’s new main sponsors. Vanbrugh Construction is a steel framed modular building company that specialises in the production and supply of low cost, quality, quick to erect homeland units. The deal will be for an initial two years but could be extended if it proves to be successful for both parties.